A pioneer in object-oriented programming, Dr. Barbara H. Liskov is perhaps best known for her seminal work on data abstraction, a fundamental tool for organizing programs. Her research in the early 1970s led to the design and implementation of CLU, the first programming language to support data abstraction. Since 1975, every important programming language, including Java, has borrowed ideas from CLU. Dr. Liskov's other extraordinary contributions include the Venus operating system, the Argus distributed programming language and system and the Thor system for robust replicated storage of persistent objects. Argus was a groundbreaking high-level programming language used to support implementation of distributed programs that run on computers connected by a network, such as the Internet. Her recent efforts have concentrated on language-based security and on making Byzantine fault tolerance practical. 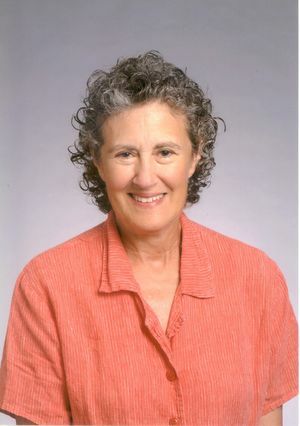 Dr. Liskov is the Ford Professor of Engineering at the Massachusetts Institute of Technology in Cambridge, Massachusetts, where she has taught since 1972. In 2001, she became the associate head for computer science in the electrical engineering and computer science department. In the 1960s, Professor Liskov held positions at the Mitre Corporation in Bedford, Massachusetts, Harvard University in Cambridge, Massachusetts, and Stanford University in Palo Alto, California. A member of the IEEE and the U.S. National Academy of Engineering, Dr. Liskov is a Fellow of the American Academy of Arts and Sciences and of the Association for Computing Machinery. She has written three books including, 'Abstraction and Specification in Program Development,' as well as more than 100 technical papers. She received the 2004 IEEE John von Neumann Medal and the Association of Computer Machinery's 2009 Turing Award. This page was last edited on 8 November 2017, at 16:09.